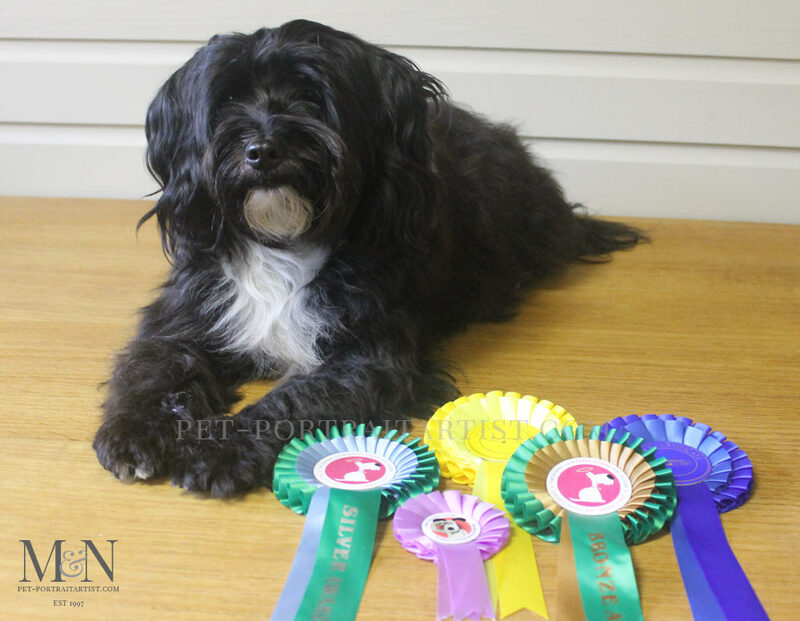 Welcome to my blog post all about Lily Tibetan Terrier and her rosette. Amazingly Lily passed her Novice Certificate Test at our local dog club and we are so pleased! We had a number of tricky tests to complete over the last few months. There are usually around 7 exercises and we can try one per week. The most difficult exercise was getting Lily to stay looking at me for 20 seconds. All while another dog and owner caused distractions around me. Lily has come on leaps and bounds with that exercise. So now we are working on our Advanced Certificate and I will keep everyone updated on our progress. Obviously some of the exercises we have to do in this section are much more tricky…but we are always up for a challenge! We go to our dog club every Sunday. of course this is weather permitting as its outside in a field. We both enjoy it immensely. It’s good for her to be with the other dogs. She gets on fine with them although we don’t see that many day to day. Sometimes she is a little nervous when many of the dogs and owners are moving at the same time. However on the whole she does everything she is asked of her, which is great. 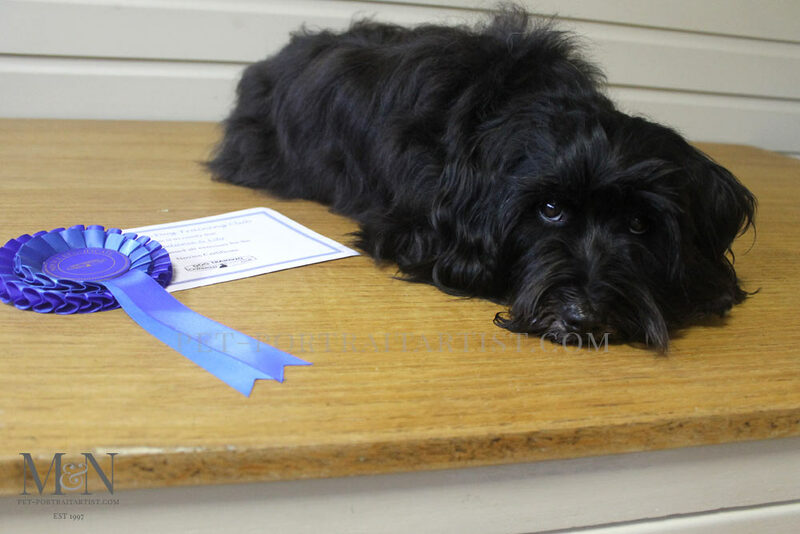 So here is a photo of Lily with her certificate and rosette. 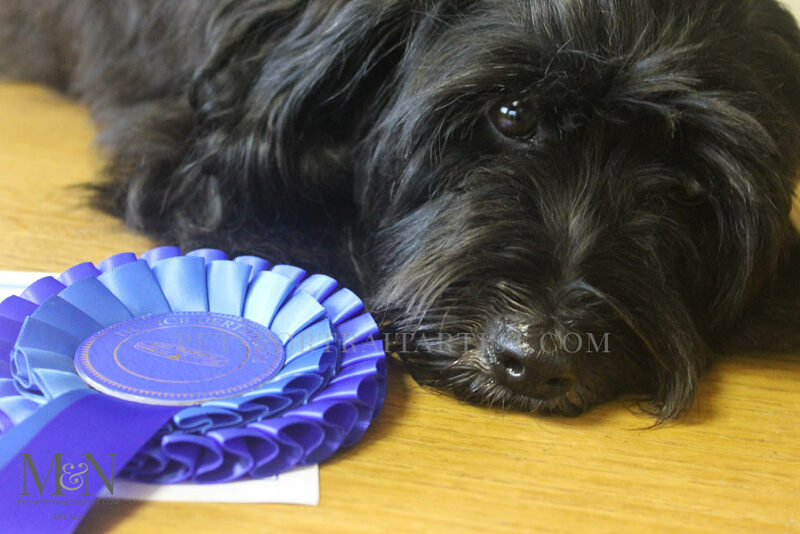 I’m thinking her expression is ‘not this photography rosette thing again!’ You can also see one of her with all of the rosettes she has received since she was a puppy.